A very well presented two double bedroom semi detached property built in 2010 and sold with no upper chain. The property can be found on the popular Newton Leys development which has good access to major road links. 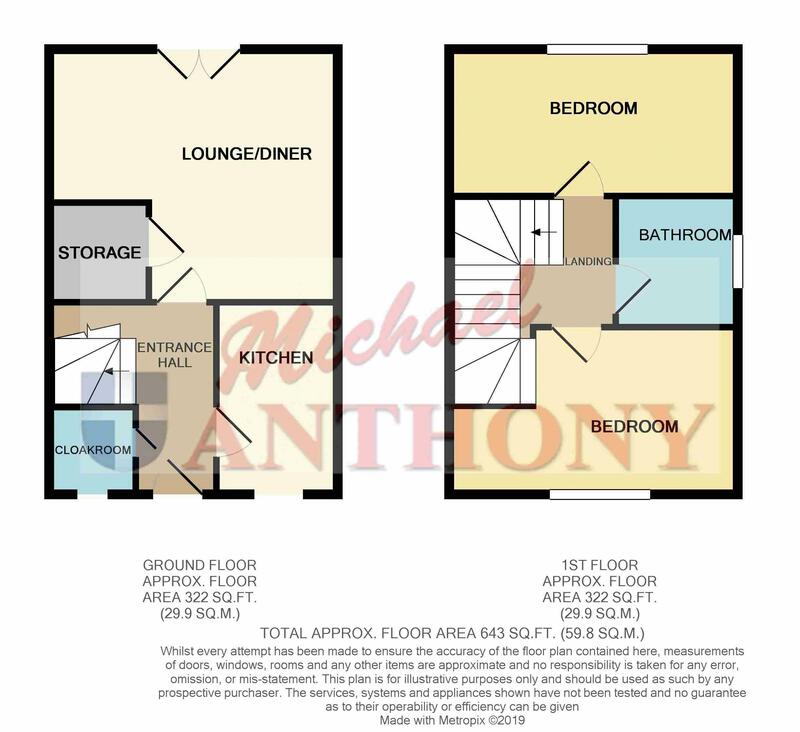 The accommodation comprises entrance hall, downstairs cloakroom, lounge and kitchen to the ground floor. Upstairs there are two double bedrooms and a family bathroom. Outside benefits from two parking spaces. Stairs rising to first floor, radiator, doors to cloakroom, lounge/diner and kitchen. Frosted double glazed window to front aspect, low level w.c., pedestal wash hand basin, radiator, tiled flooring. Double glazed double doors to garden, radiator, television point, door to storage cupboard. Double glazed window to front aspect, a range of storage cupboards at base and eye level, square edge work surface areas, splash back tiling, one and a half bowl and drainer with mixer tap over, oven and hob with extractor hood over, plumbing for a washing machine, built in fridge freezer, wall mounted boiler, tiled flooring. Double glazed window to rear aspect, radiator, built in wardrobe. Frosted double glazed window to side aspect, a three piece suite comprising a panelled bath with mixer tap and shower attachment over, pedestal wash hand basin, low level w.c., radiator, fully tiled. Allocated parking for two cars to side of property. Mainly laid to lawn, shrubbed area. Enclosed by timber fence panelling, gated side access, mainly laid to lawn with patio area.